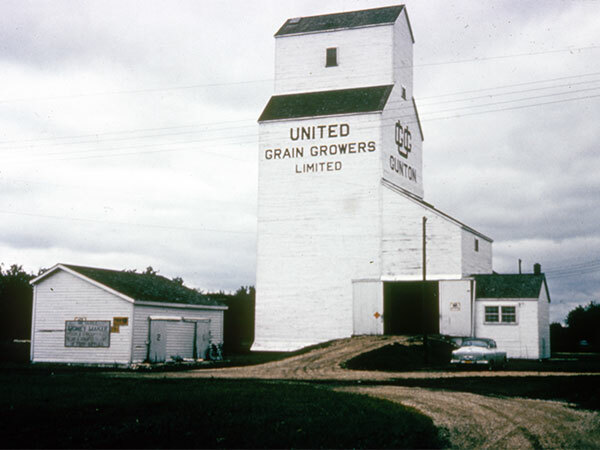 A wooden grain elevator at Gunton, on the CPR Arborg Subdivision in the Rural Municipality of Rockwood, was built in September 1951, replacing one destroyed by fire on 24 July 1951. It closed in July 1984 and was removed from the site. Teulon West topographic map, 62I/6 West, Edition 2, Series A743 [UFS Reference Collection].